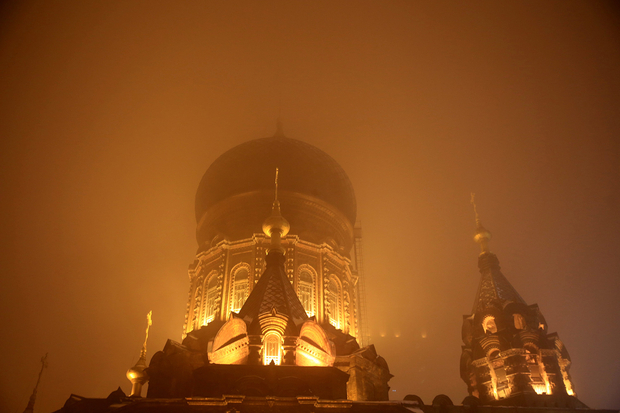 The Saint Sophia Cathedral is shrouded in dense smog on November 10, 2015 in Harbin, Heilongjiang province. Heavy air pollution occurred after coal-burning heating systems were put into use in the cities of northeast China. This week on Sinica, Kaiser Kuo and David Moser are joined by Deborah Seligsohn, former science counselor for the U.S. Embassy in Beijing and currently a doctoral candidate at the University of California, San Diego, where she studies environmental governance in China. With more than 20 years of experience working with China, Deborah is one of the most knowledgeable people in the world on the question of China’s policy response to questions of air pollution and climate change, which is why we are delighted to have her on the show.